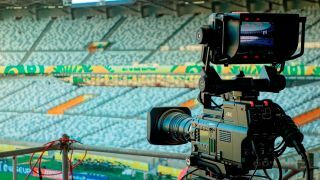 Connectivity at sporting venues: a fruitful business opportunity? There is an increasing appetite for media-rich experiences to be delivered on mobile devices as people are more connected than ever. Around the world, there are an estimated 5.6 billion mobile devices that will be in use by 2015 – and a projected increase of over 2,600 per cent in mobile data transfers. The sports and entertainment sector portrays these trends most obviously, with a growing number of sports-related social networking websites and applications. However, with this comes an increasing demand that these amenities be available in venues to compliment all of the action. Many fans expect their mobile experience to be as good as – if not better – than their experience to and from the event. However most sports and entertainment venues today are not optimised for the reliable delivery of wireless internet to such a highly concentrated group of users, leaving thousands of fans with limited ability to share video and access mobile data applications. As such, businesses and venues must address the requirement for seamless and reliable connectivity and the emerging business opportunities associated with event and venue-specific social media. If the delivery of 3G and 4G to sporting venues can be achieved, the opportunities for companies to interact and engage fans are virtually endless. Sporting venues can offer exclusive location-based services or sales through mobile applications such as concierge services, or unique revenue opportunities like real-time concessions, merchandise, and ticket ordering. The rewards for offering an enhanced mobile experience are not solely based online, as venues are increasingly offering instant prizes for fans, such as meet and greet opportunities after events, who are actively involved in social media campaigns. More than half of us in the UK now own a smartphone, and over 6.5 million of us regularly use them to access retail stores on it, but those figures are set for explosive growth in the near future. Mobile devices will continue to drive shopper behaviour as consumers use them to price check, access product placement, view recommendations and explore social media to inform their purchase decisions. Apps now create interactive store experiences for users, and this can be replicated to stadium, event and merchandise store providing SME's the opportunity to sell products to an engaged audience not only after an event has taken place but before and during, as well. Innovative retailers should view mobile technology not just as another opportunity to increase retail sales, but as a personal gateway to fans that can provide a more varied and richer experience. It will create a more targeted experience personal to each shopper that can inspire and encourage. Skylab was founded in October 2005 by BAFTA Award winning Producer Nigel Collier. Skylab specialises in digital strategy and production, creating strategies, websites, apps, social media, online video platforms and content such as film. As Managing Director, Nigel works closely with clients on digital and marketing strategy, overseeing the production output of the studio.